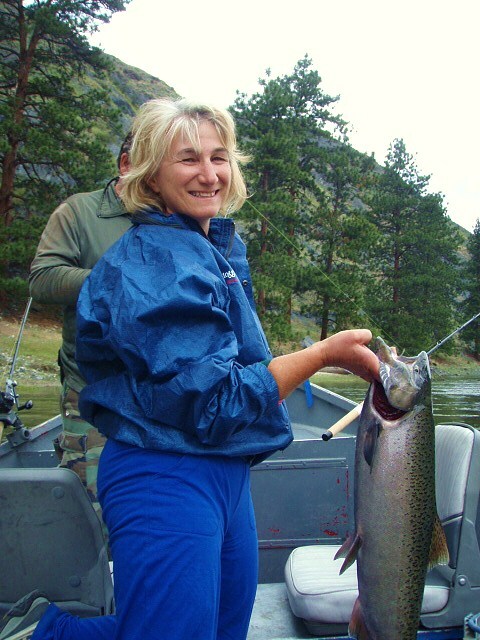 Finally, the salmon are dancing their way through our local waters here in Riggins, Idaho. It is nice to think our salmon ceremony to welcome them home, might have helped. One way or the other, these mighty fish are arriving in good numbers, with each day getting closer to the main bunch of fish heading our way. The fish counts at Granite Dam, on Snake River, is part of how we determine potential numbers and timing of when they reach our area. Naturally, flows of the river are also a factor. Higher flows slow upstream progress with increased resistance for fish to swim against. 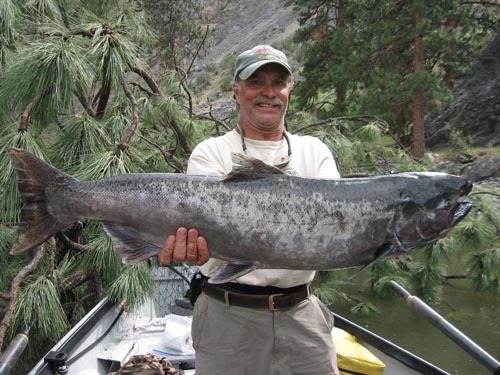 Also, once these fish reach the Salmon River, there is a rapid about five miles from the Snake/Salmon River confluence that may stop their upstream progress when the river goes above 50000cfs. The Devil’s Slide is a nemesis of a rapid in high water. Not only to floaters, but fish too. If fish can’t handle it, that is a red flag for people to respect the power of the river. This is why we do not float the lower end of the river until it gets below 30000cfs. The flows of the Salmon River have been unusually erratic and out of sync with normalcy this season. It appears to have peaked in April, which is a historic first (May & June is the normal window that it reaches zenith). My guess, is that the cause is related to climate change. So far, the river has spiked upwards three times, with this last rise a bit surprising. However, the color and condition of the water is still good for fishing and we are still catching a few fish. Fish may travel between 13 and 18 miles per day, fluctuating with flow resistance, and weather. By river, it is about 160 miles from Lower Granite Dam to Riggins. This means about an average of 2 weeks for fish to get here, once past their last dam and concrete barrier. As of June 4, there have been 55366 adults and 2812 jacks that have crossed over Lower Granite Dam. These are good numbers for fishermen. Thank you salmon nation. Welcome home.